The Board of Directors guide the Association and ensures continued relevance to the school business profession. They represent the voice of the membership and keep members informed of key initiatives and issues. 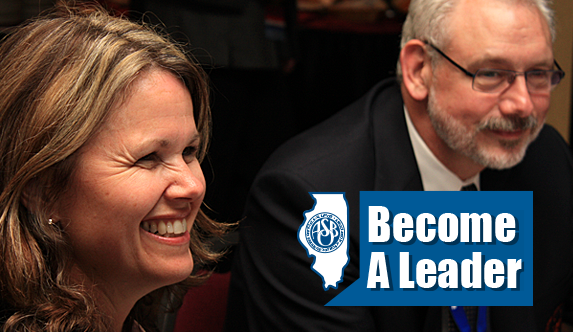 Serving on the Board is the ultimate leadership opportunity within Illinois ASBO. Each year, applications for Board service are accepted starting in September through December 15. Directors serve a three-year term beginning in July each year, with three new Directors being elected each year to fill the nine-member Board. See an updated list of Board Members, and get in touch to give your input on the Association and the profession. Part of the ongoing role of the Board is to work on the strategic plan for the Association. As part of Board service, each Director takes part in committee work and acts as a liaison to other committees within the Association. Find out who your board liaison is for your PDC or Regional Organization. See what topics the board is discussing and approved minutes from their meetings. See what policies and procedures guide the daily operations of Illinois ASBO.